Receiving the treatment you deserve is a powerful thing. Many patients even describe our TMJ treatment with powerful words such as miracle, phenomenon, breakthrough, and amazing. 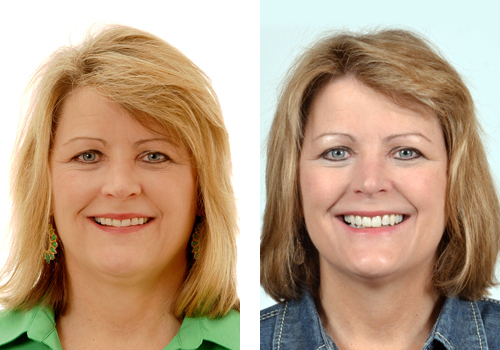 The TMJ Headache Treatment Center would like to present to you with before and after pictures of patients who have received our treatment. 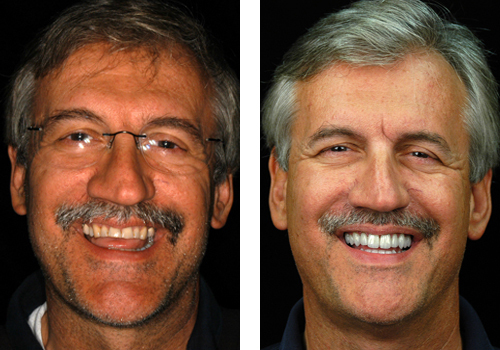 You will certainly find that our patients' smiles are bigger and brighter in the after photographs. ***It is important to note that not all of the following TMJ treatment photos are a result of Dr. Tagliarini's work. Since we value our patients' privacy, we fully respect and value their decision to decline having their photos posted on the internet. 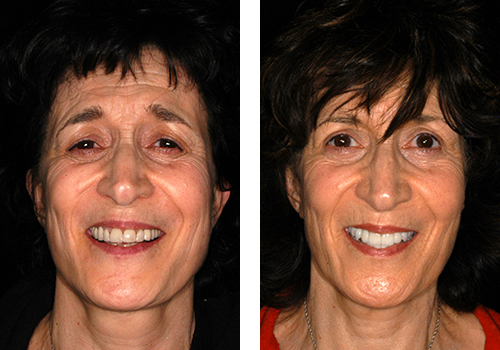 However, these treatment photos still capture rejuvenation dentistry's amazing results. As you scroll down and see the fruit of the TMJ procedures done at the TMJ Headache Treatment center you'll notice a huge difference between the before and after photos. The majority of these photos were from patients who are deep into the last stages of the TMJ Degenerative Cycle. We offer minor treatments to those who's TMJ we catch before it the diease progresses. Schedule your TMJ Evaluation today by calling (203) 779-6064. A TMJ disorder can inhibit your ability to enjoy life because the painful symptoms experienced. Problems such as difficulty eating, chewing, and throbbing jaw pain, should not be endured. But TMJ treatment has amazing effects on the whole body. Our sophisticated treatment can completely revitalize you -- from the wrinkles on your face to relieving your headache pain. Scheduling a TMJ evaluation at the TMJ Treatment Center is easy. Give our office a call at (203)-779-6064. 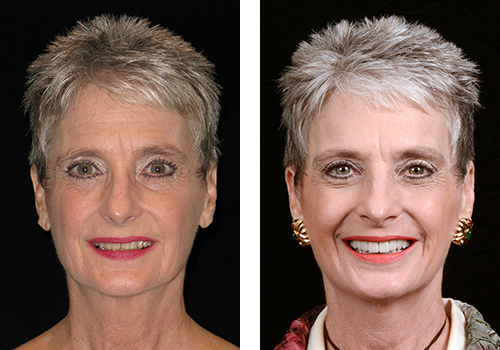 By looking at these before and after pictures, you can plainly see how revitalized these patients appear. Many of these patients tried other remedies for their temporomandibular disorders before choosing to see a TMJ specialist. While these other treatments failed to produce results, our TMJ treatment has completely reversed the effects of this degenerative disease. 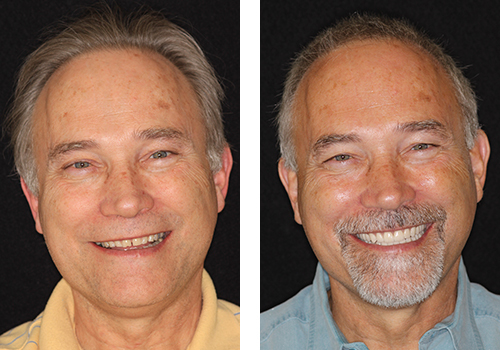 You too can undergo an amazing physical transformation with our TMJ treatment. After receiving our TMJ treatment, many of our clients claim that they never thought eliminating their pain was possible. Our TMJ treatment can improve more than your smile -- it can improve your quality of life. You do not have to cope with TMJ related pain any longer. ​Please contact our treatment center today to be one step closer to a happier, healthier, and pain free life. Our CT-based TMJ Treatment Center is responsible for dozens of revitalized smiles, faces, and lives. We are pleased to be the TMJ specialists you can rely on. In accordance with the rest of the east coast populace, Connecticut's residents live a fast-paced lifestyle. With such hectic and full schedules, taking care of one's personal health is often neglected. But something as simple as a misaligned bite can manifest in a host of larger dental issues, including TMJ. Please do not neglect your health any longer! Visit our TMJ Treatment Center to improve your health today. One of the most common things our patients tell us is that they wish they received TMJ treatment earlier. Living without terrible headaches, pounding migraines, and jaw pain is extremely detrimental to your physical and mental well being. ​Do not wait any longer to contact TMJ specialist, Dr. Tagliarini. He has reversed many extreme cases of TMJ and is eager to help you regain your health. Our Treatment Center's mission is to cure TMJ in CT. We do not want you to deal with jaw pain, difficulty chewing, headaches, or migraines. For example, going out to eat should be something to look forward to after a long week. ​Difficulty chewing your food is unacceptable. Our TMJ treatment has brought back the enjoyment one should experience during a night out. Live life TMJ pain free again. Schedule an evaluation today by calling our office at (203)-779-6064. 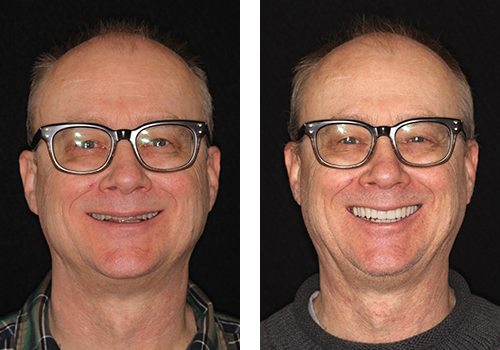 As the before and after photos demonstrate, our invigorating treatment will eliminate your TMJ pain. Say goodbye to jaw pain, difficulty chewing, severe headaches, painful migraines, and ongoing discomfort. 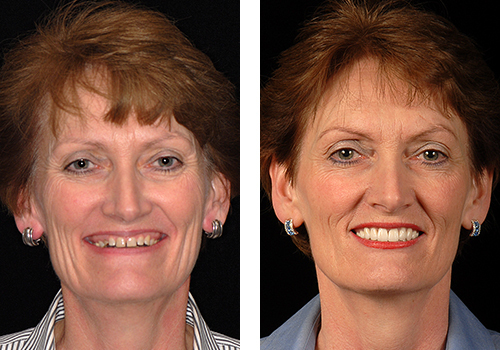 Say hello to looking 10+ years younger, fewer wrinkles, no pain, and a great looking smile. Schedule a TMJ evaluation today by calling the TMJ Headache Treatment Center at (203)-779-6064. We look forward to seeing you smile again!